Sea Canoeing in Thailand. I have done this for many many years. 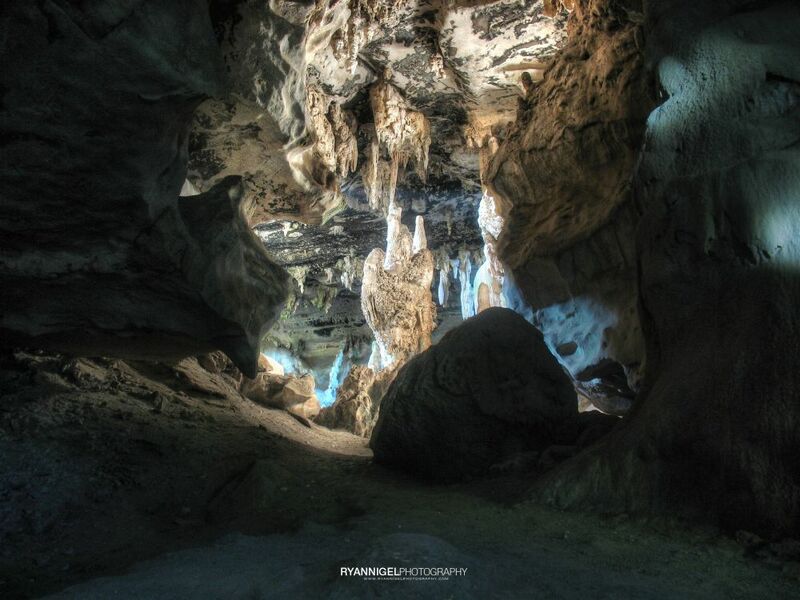 I think I have seen every cave, every mangrove forest, every pass through and every island in Phang Nga Bay and Krabi. 🙂 It is so nice there. These photos and videos are from the time that I was doing this stuff overthere. So it is not recent work. I’ve been sea canoeing in Thailand for about 10 years. And in those 10 years i have never ever been bored with the landscape, with the sea, with the caves with anything. But at some point in your life you have to move on. And so i did. This post is more of a flashback to the good times that I had with my boat crew (the very best available) and with the tons of customers. 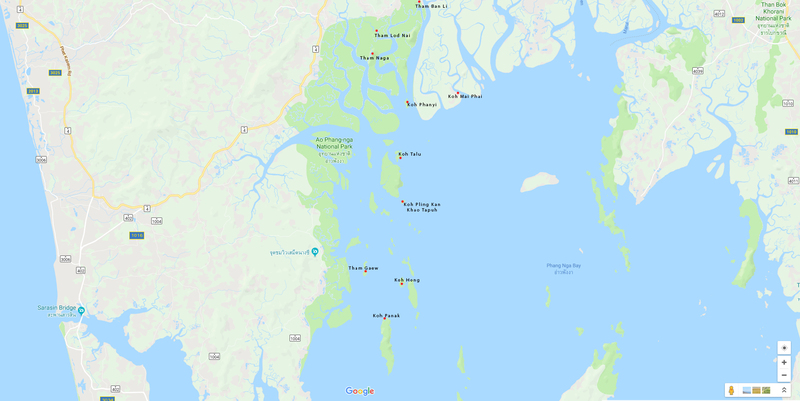 On my Flickr page i have a photo album with 195 photos of Phang nga bay with, i think, all the locations discussed here. Click here to see the album on my Flickr page. This is where i started to do the sea canoeing. 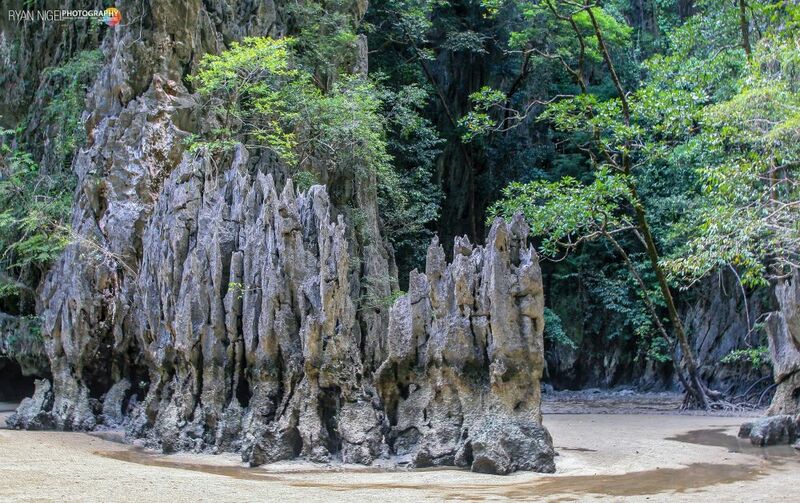 After a couple of years i started to go to Ao Luk, near Krabi, as well. But later more about that. First, Phang Nga Bay. There is a lot to tell about the Bay but i just keep it out. There is already so much on the internet about it. I will write about the various islands where i did the sea canoeing and how to avoid the crowds. On my photos you don’t see a lot of people but it sure can get crowdy up there ! 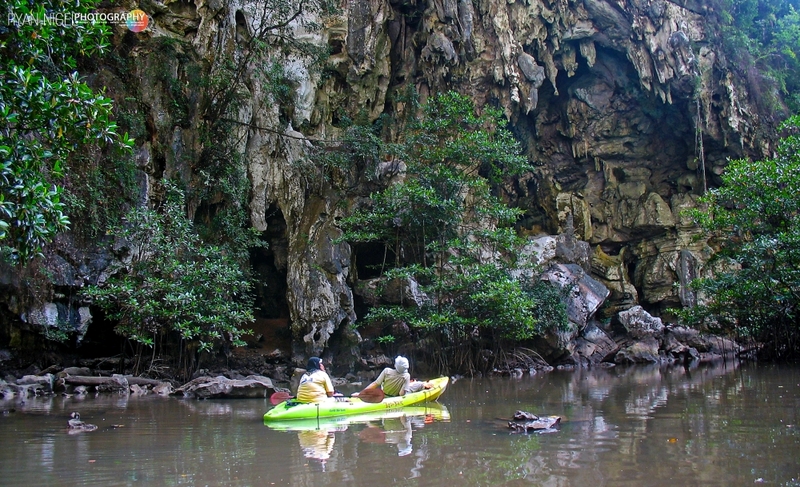 Sea canoeing and cave exploring in Phang Nga Bay is all about planning. Really tight and good planning. You have to check the wind, tides and transfer times from one place to another. I did all transportation with a classic longtail boat, so the driving times are much longer than with a speedboat. I prefer the longtail boat, because it is a traditional Thai boat, it is capable going through shallow water and it gives a nicer experience. 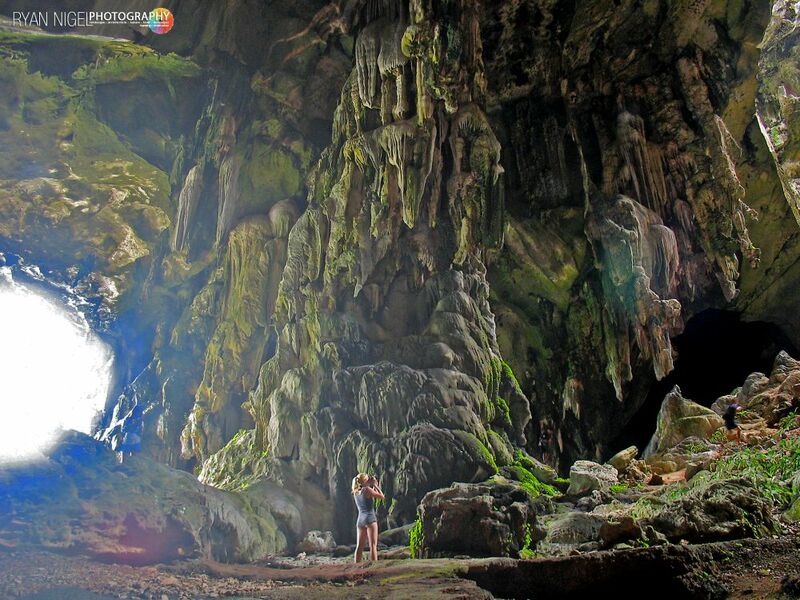 For a succesful trip you need to know about tides and about the caves/tunnels/lagoons you want to visit. 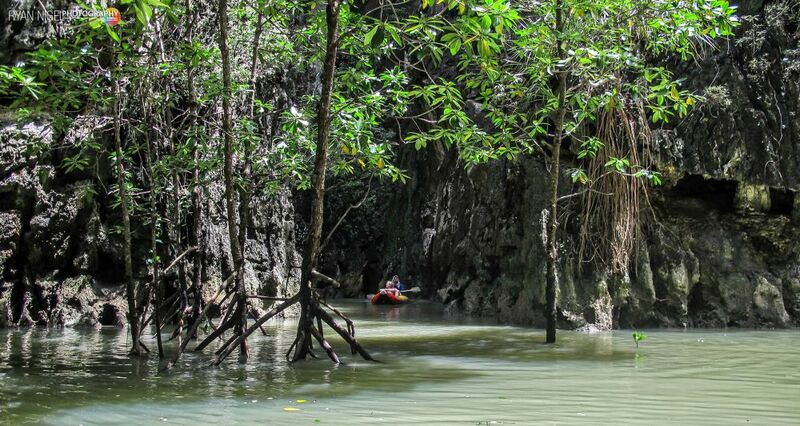 Many caves/tunnels/lagoons in Phang Nga Bay can only be visited if the tides are ‘right’. Meaning: either the tide is half way in or half way out. 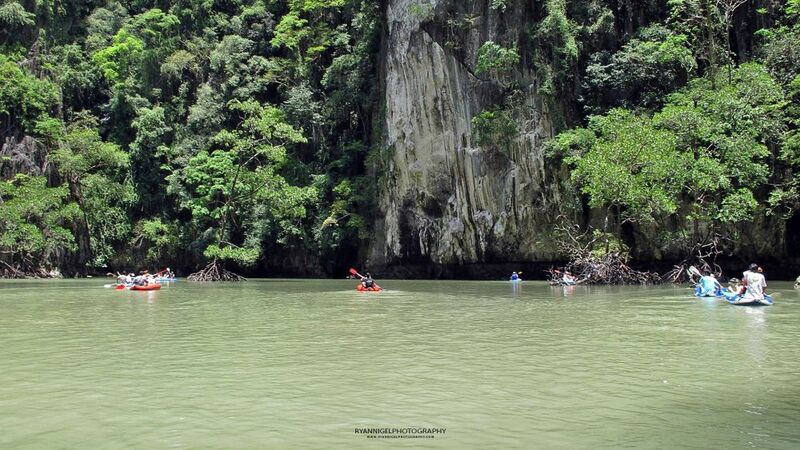 Phang Nga Bay is a shallow water bay. This means that the tides can come in fast and can go out even faster. Depending on the time of the year you have about 4 to 6 hours to plan your trip. (6 hours is the normal cyclus of tidal change). 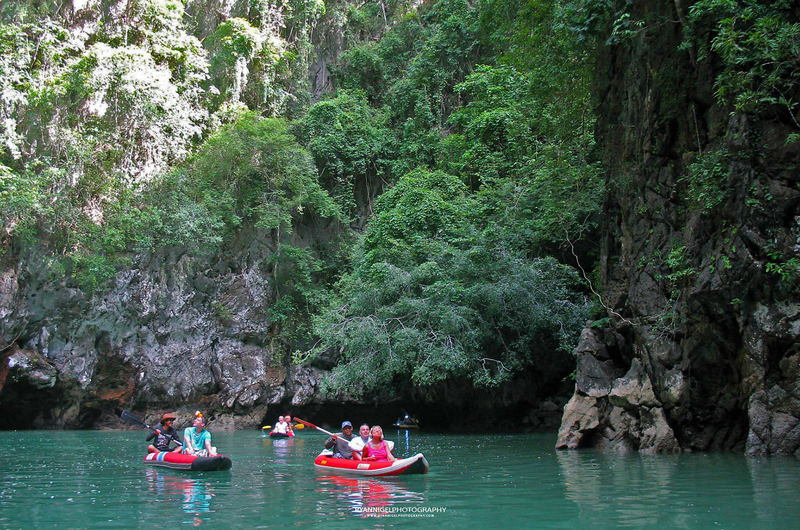 Another thing: sea canoeing and cave exploring is very popular among tourists. 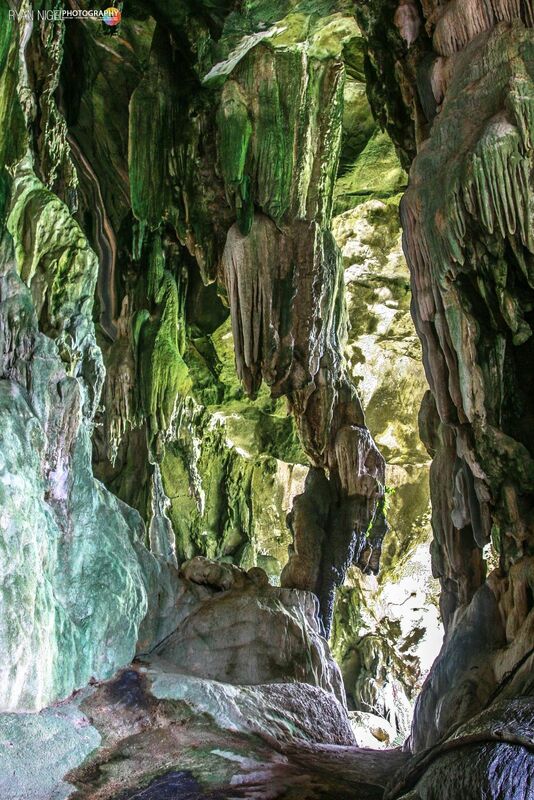 There are caves like Hong Island, Batman Cave and some others, that are so busy that you cannot enter the cave or tunnel to the lagoon. Think 2 up to 300 canoes trying to enter the cave. That’s why planning is crucial ! 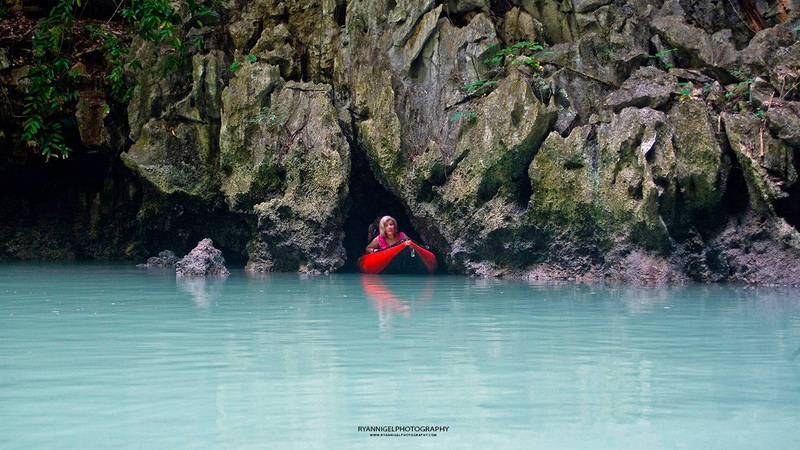 Coming out the cave: Sea canoeing Phang Nga Bay – Hong Island. This island is one of the main attractions of Phang Nga Bay. Really 1000’ths of tourists come here. But only in one area. The island has a second area where not many come. This part has some tunnels and lagoons connecting with eachother. 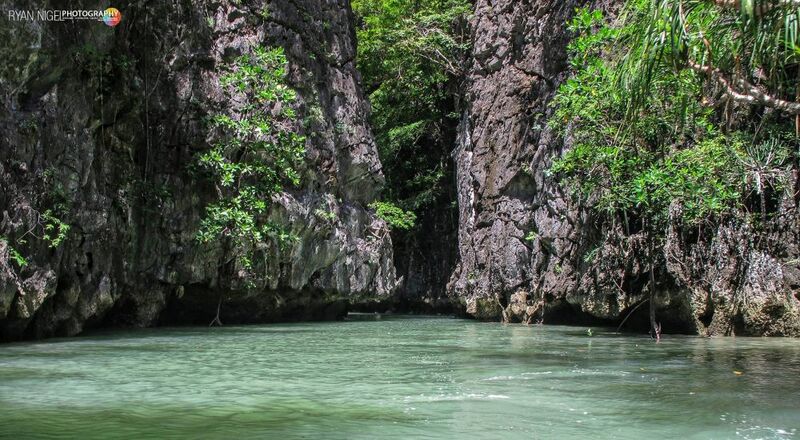 When the tide is right you can do a complete round trip and see all the caves, tunnels and lagoons. Sometimes it can get a bit narrow, and i mean so narrow that you have to deflate your canoe, but the experience is like no other. 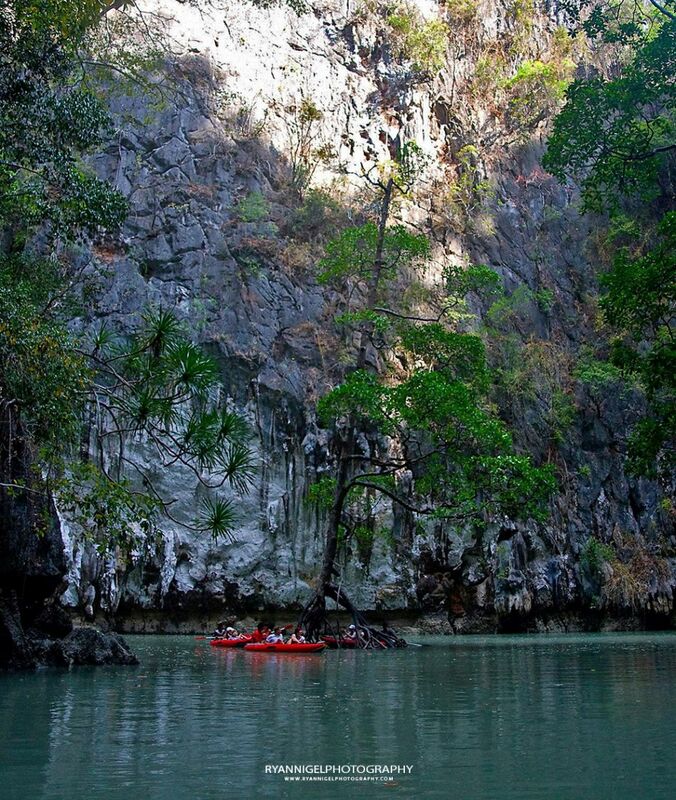 Mangroves, caves, tunnels, limestone, lagoons. It’s all there. The nice thing: when you pass the island you cannot imagine that such beauty is there. 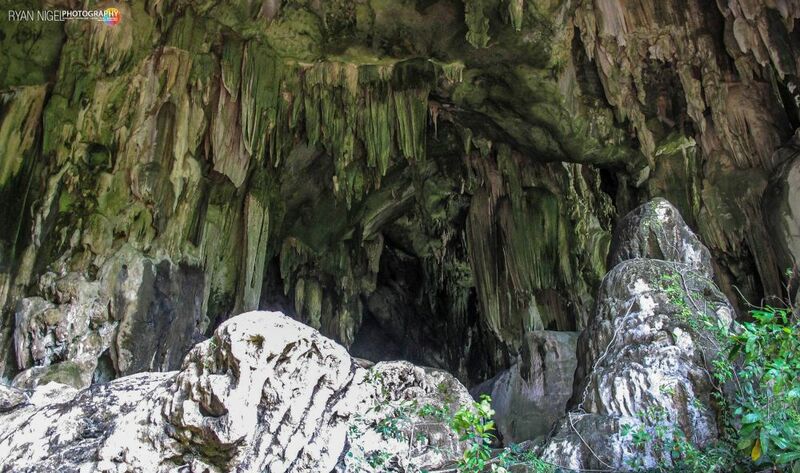 This is a very nice limestone cave or tunnel. You can go in at one side and exit at the other side. 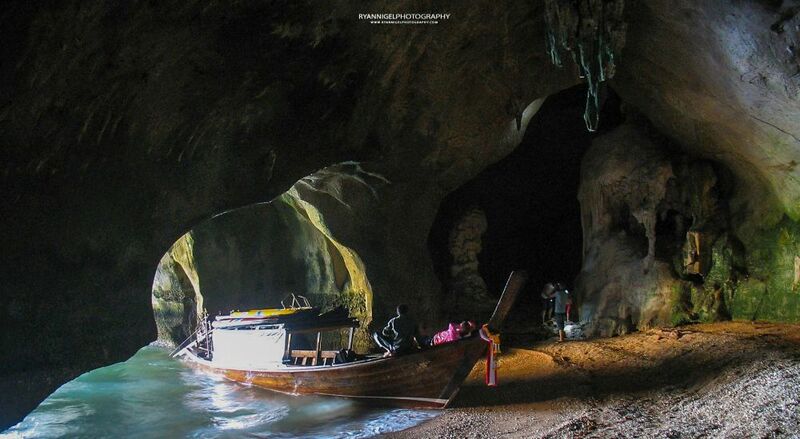 It is quite large, you can pass through with a longtail boat. Also nice to explore with a canoe. After the rain the limestone soaks up the rainwater. 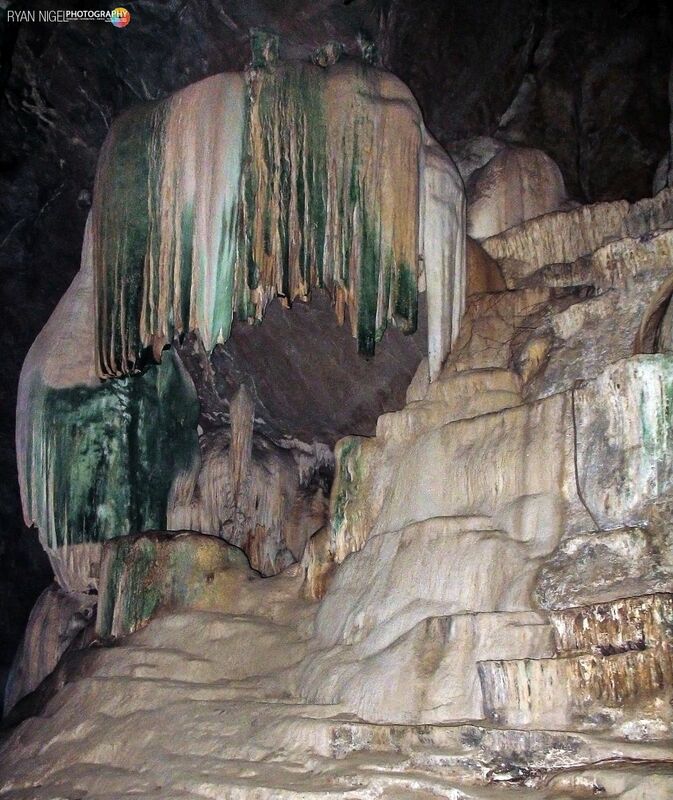 You will always see water dripping out the limestone inside the cave. Sometimes it is that much that you can shower underneath it ! The cave/tunnel is not visited that often as before. People go to different places now. But some tour companies still visit this place on their famous James Bond Island tour. 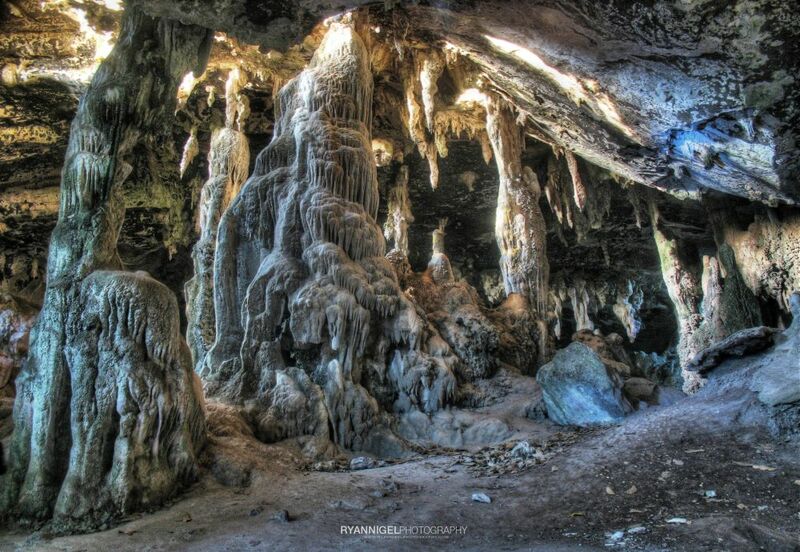 Tham Naga is in my opinion, by far, the most interesting place in Phang Nga Bay. Tham Naga is an acient burial ground from the first people who lived there. It is said that the place is about 3000 to 5000 years old. The cave is enormous and mosquito invested. 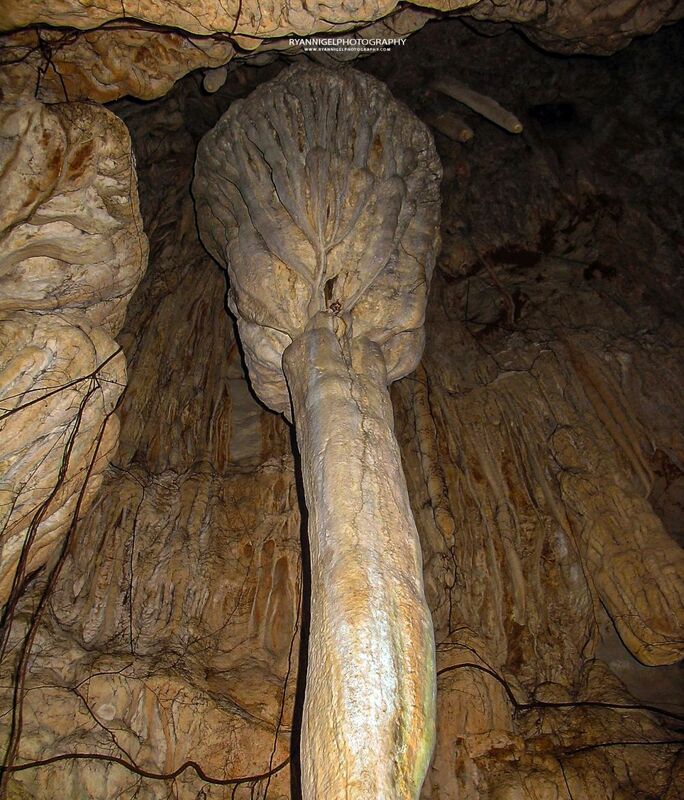 The limestone stalagmites and stalagtites are enormous and nicely green because of the warm moistrous air. If you are up for it, you can climb up to the top of the cave. You have a really good view over Phang Nga Bay. I have made a post before about the Naga Cave. 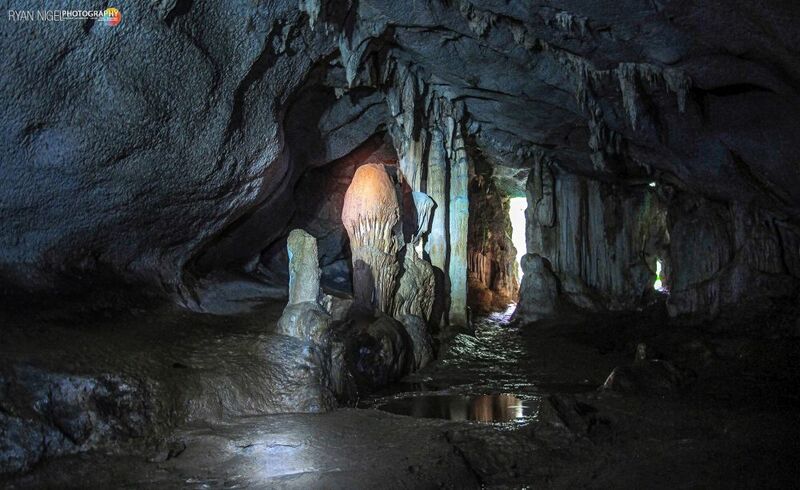 Click here to read more about the Naga Cave. 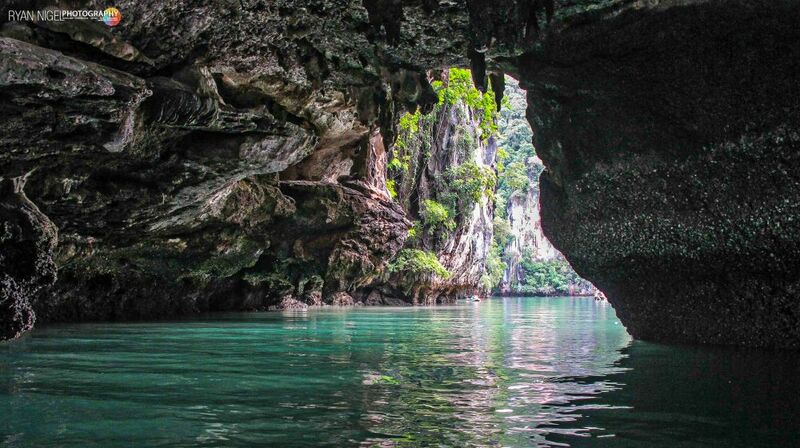 This cave you can enter by boat, and i mean a complete longtail boat. It’s like parking in a garage. The cave it self is split in 2 areas, left and right. The right side is the most interesting one. 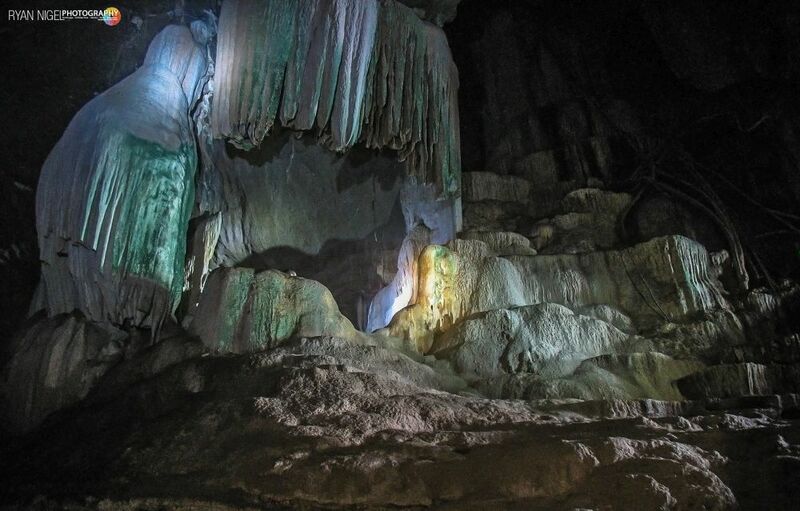 Gaew means Glass in Thai, and the reason why the cave have a name like this, is because there is a glass shaped limestone rock inside the cave. 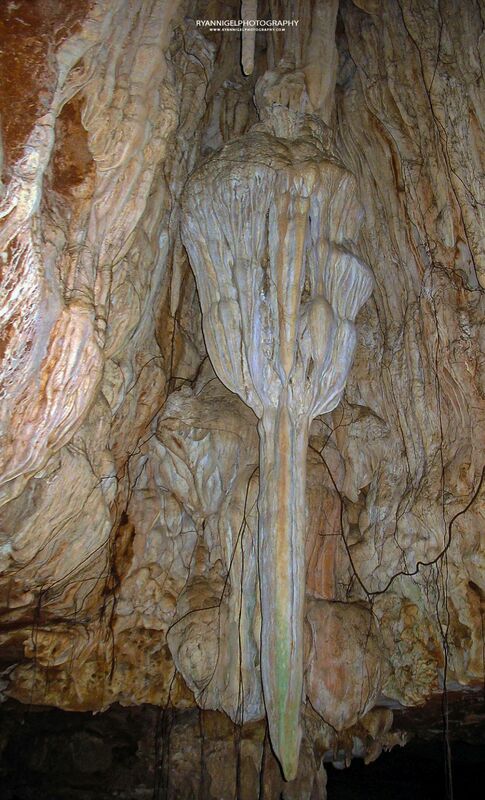 On both sides of the cave you have some really nice stalagtites and stalagmites. 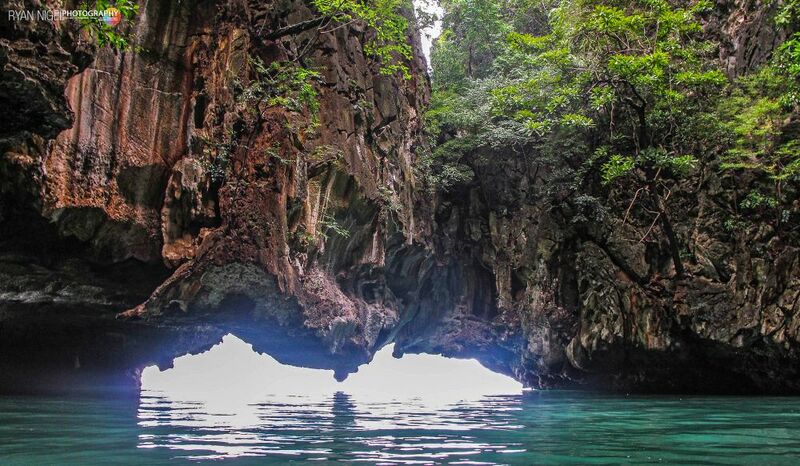 Koh Hong or Hong Island is one of the most popular places to do seacanoeing, cave exploring and see the lagoon. Hong Island has a shallow bay and is surrounded by limestone. The scenery is really very nice. I have been here so many times that i lost count but i never got bored. To enter the tunnel which leads to the lagoon you need to know the tides for entering and leaving. The opening window can be as narrow as 30 min. in and out. Hong Island is also nice to sea canoe around and to take a swim. The water is shallow and with dead tide crystal clear. The island is quite scenic and, when there are no other people, very relaxing. As said before, it is one of the most popular places. Also here, if you don’t plan it right, you can get stuck into 100dreds of people and canoes. 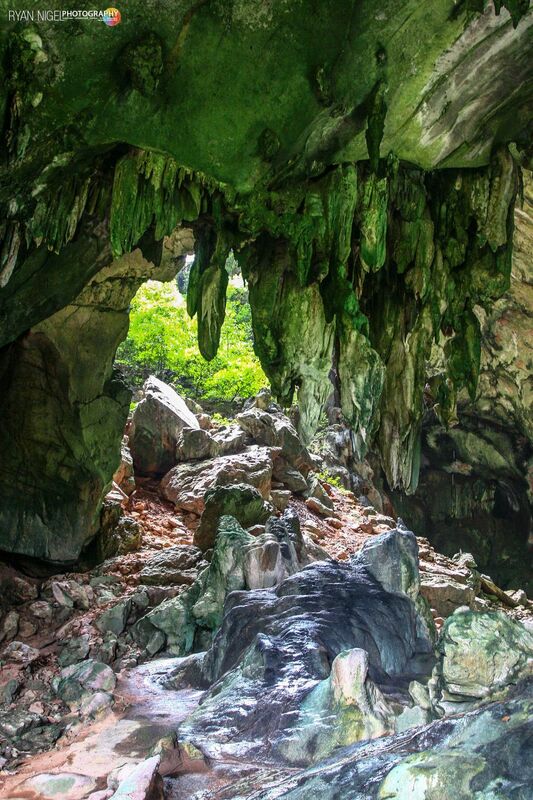 Koh Panak, Panak Island is heaven for sea canoeing and cave exploring. The island is just one big cave, lagoon, tunnel, etc. There are really a lot of places you can go. The problem is that some places have such a narrow opening window that it is really hard to enjoy the place to the fullest. At Panak Islad there are 3 points that are visited by mass tourists. When they come you have 100drerds of boats and people close to eachother. The good thing is that it doesn’t last long. Max. half hour. After that, it starts to be quiet again. The Ice Cream Cave, is a nice cave. The reason why it is called like this, is that at the end of the cave there is a stalagmite in the shape of a cornetto 🙂 Really. Also at the end of the cave you have a view on a hidden lagoon that cannot be accessed. 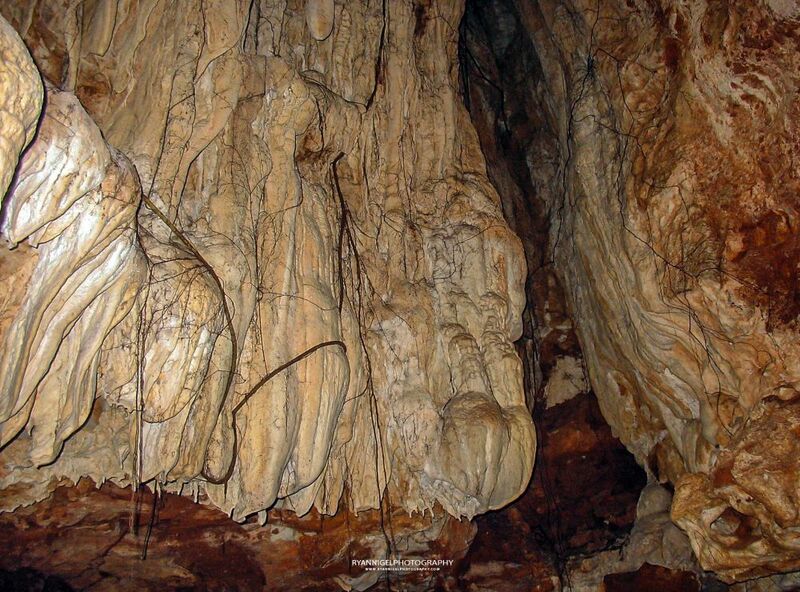 The cave itself can be very slippery after the rain, but offers very nice limestone stalagtites and stalagmites. 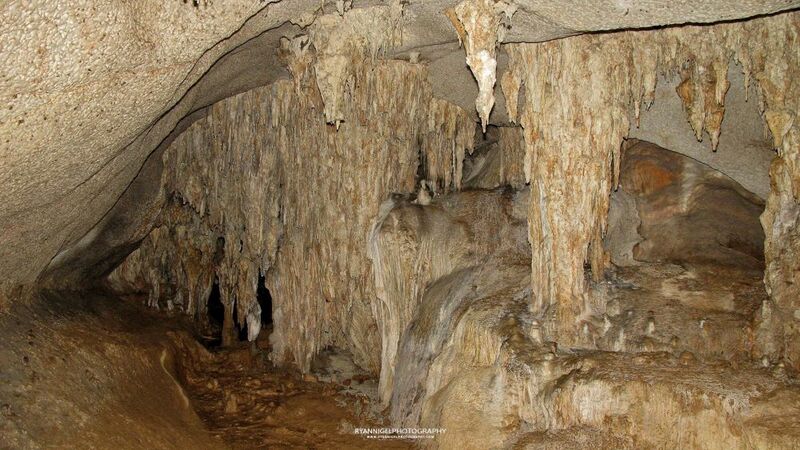 Ice cream cave: do you see the Cornetto ??? !! 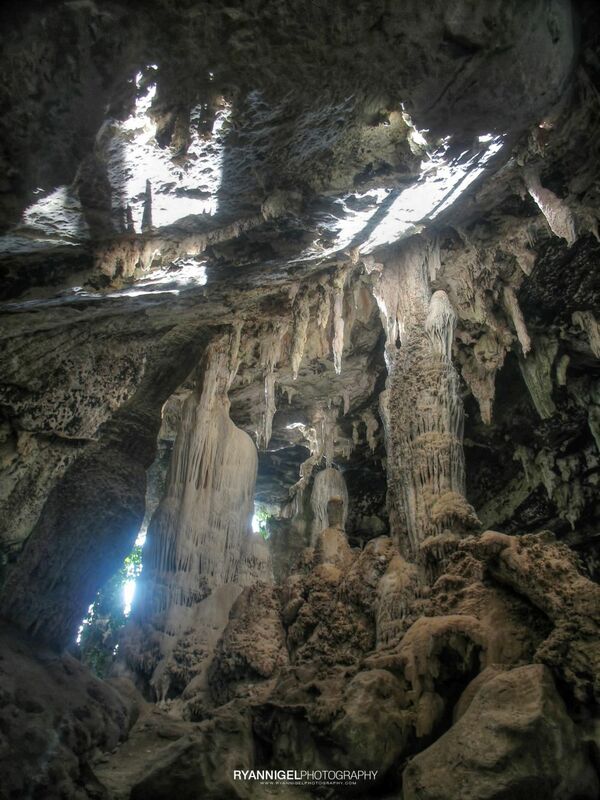 The Batman Cave is the most visited place at Panak Island. And when the tide is right you can canoe to the second lagoon. Once you are there you will understand why so many people come there. The tunnel/cave is long and dark. Invested with bats, hence the name Batman Cave. At the end of the cave you enter the huge lagoon by a small and low opening. When the tide is to low you cannot enter because there is no water, when the tide is too high you cannot enter because the entry is underwater. But when the ride is right, man, it is really nice there. 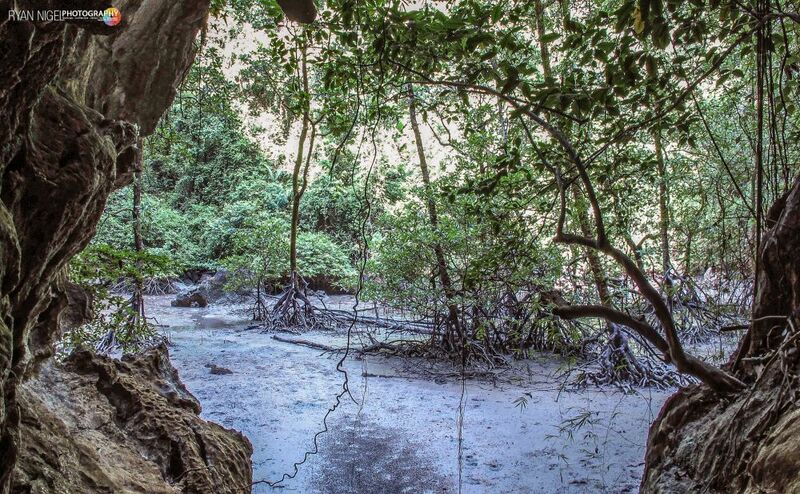 The mangrove cave is more a tunnel and a lagoon. The best way to visit thi place is by foot. Sure you can go in by canoe but its gonna be really tight. When it’s low tide the lagoon is dry and the tunnel is dry too. Inside the lagoon there are huge mangrove trees, hence the name Mangrove cave. 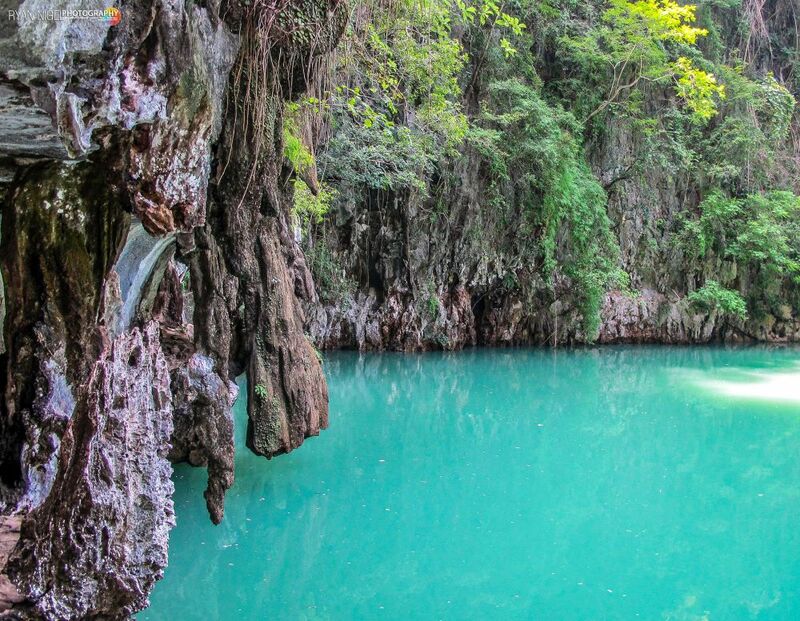 The diamond cave and lagoon is one of my favourites. There are 2 lagoons here, but the second one can only be visited when the high tide is outgoing. Also the opening window is about 20 min. in and out. But the lagoon is very very nice. Also a good place to spot some wild life like monkeys, snakes, lizards and birds. Sometimes it can be busy here, but if you plan it right you only have a few other people up there which makes the place nice and quiet. The hidden lagoon is missed by most people, that’s why it’s called hidden lagoon. It is actually quite close to the Batman Cave, but quite inaccessable when the tide is high. 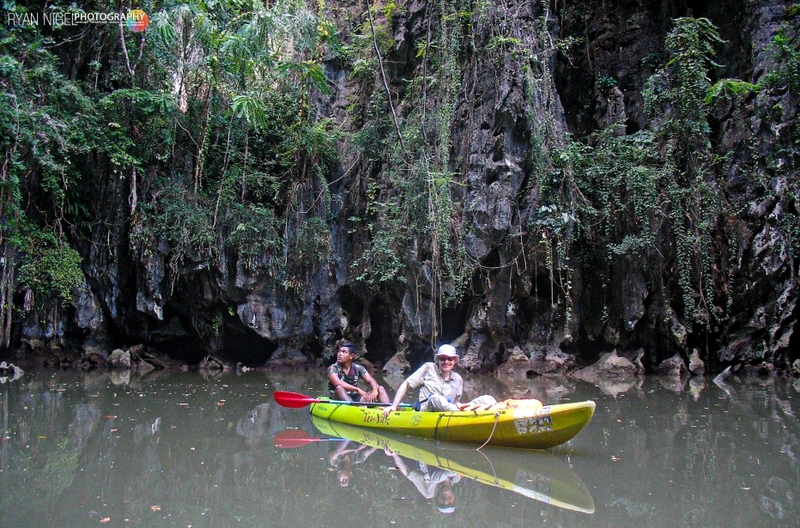 you have to climb out of the canoe and walk through a limestone tunnel/cave to access the lagoon. But hey, a great place for swimming ! When the tide is low, you can access the lagoon by canoe from underneath. Very nice and very impressive. If you up for it, you can go sea canoeing from here to the Batman Cave. 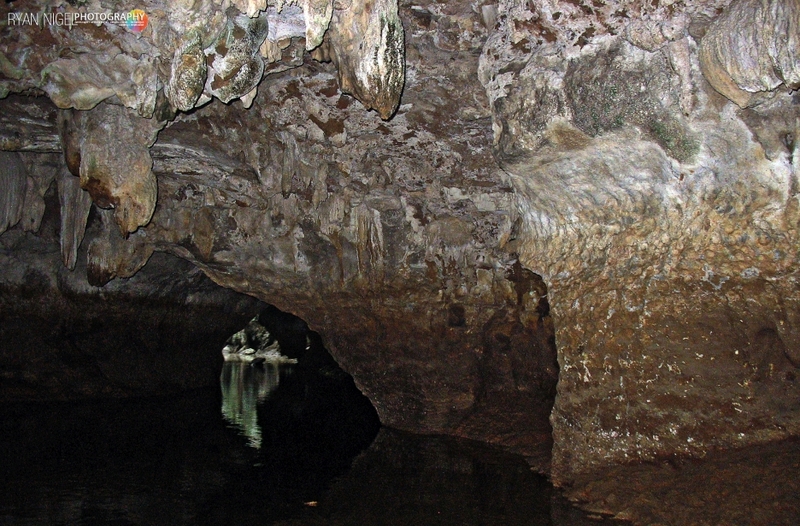 Hidden Lagoon, access by the Cave. You won’t believe it, but here is the entrance of the hidden lagoon. You have to climb ! I forgot the name of this cave but it is nearly at the south point of the island. 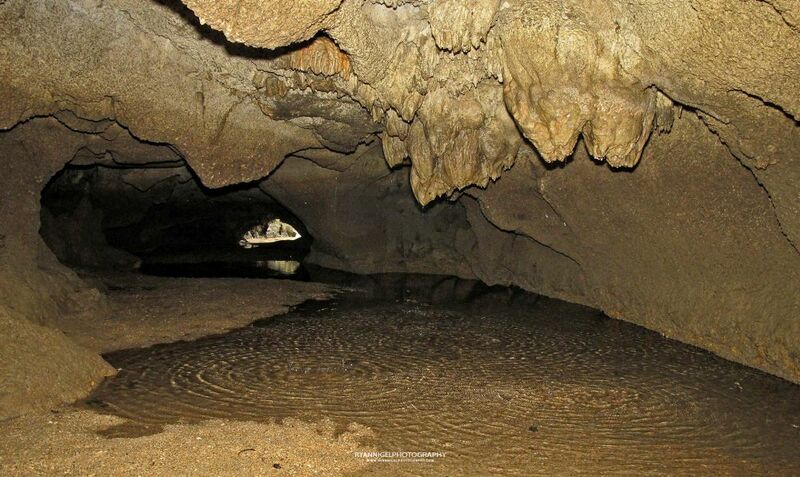 It is really a nice cave exploration tour because you can do a roundtrip from the lagoon to the cave or reverse. This place is not visited ofthen because it is out of the way and not many people know about it. Also the planning to visit this place is quite tight. When the water is to high you cannot exit the cave anymore. Also inside cave there are some tricky points where you have to crawl over the floor and bend yourself to get through the cave. The lagoon is very nice, full of mangrove trees and sometimes you can see monkeys. I also forgot the name of this cave. You pass it on the way to the cave mentioned above. This is not a place for beginners. 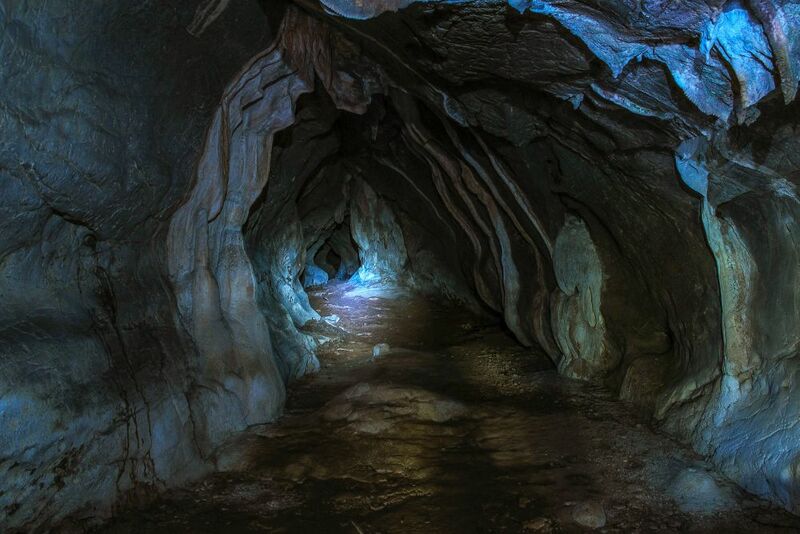 It is very tight and slippery inside and at the end of the cave there is a large room so big, that the light of your flash light diffuses in the darkness. I have visited this place a couple of times, but getting good photos from the inside is very hard. All in all a very nice place to visit for the more adventurous tourist. 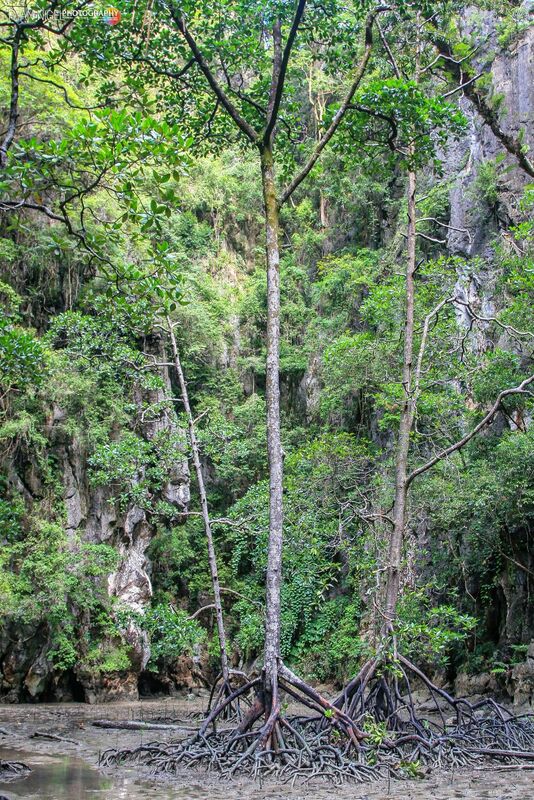 This cave is named after my longtail boat captain. He discovered the cave. This cave is way out of the direction of all the other caves. In fact it is close to the pier where you take all the tour boats. 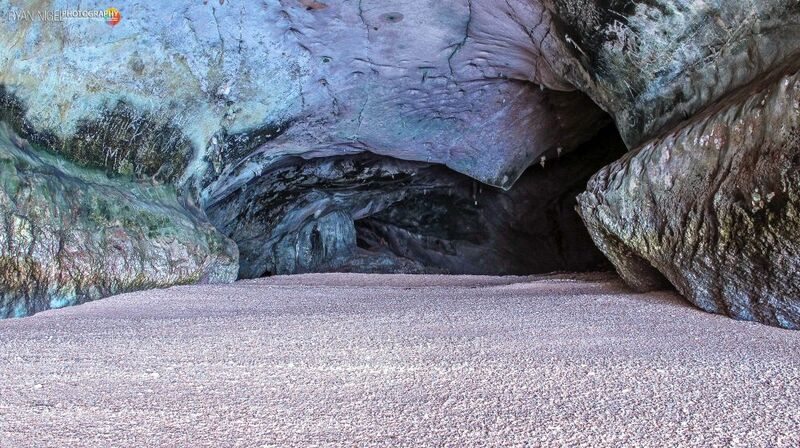 Only a few people know about this cave. If you want to go here you really have to make sure that you know the tides. The cave is only accessible just when the tide is going out. The cave it self is also quite nice with a huge stalagtite hanging off the ceiling of the cave. The area where the cave is, is very nice too. 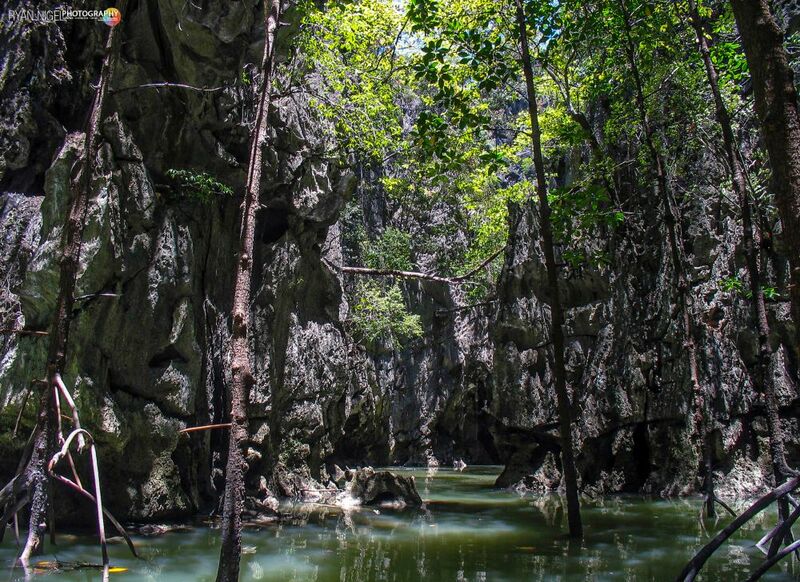 Huge mangrove forest and limestone rock formations. Sea canoeing here is quite relaxing ! 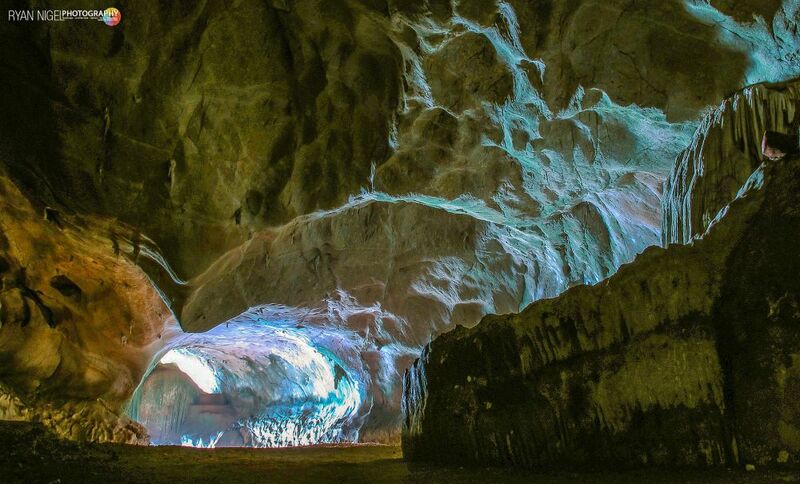 This is not a cave nor a tunnel or a lagoon. 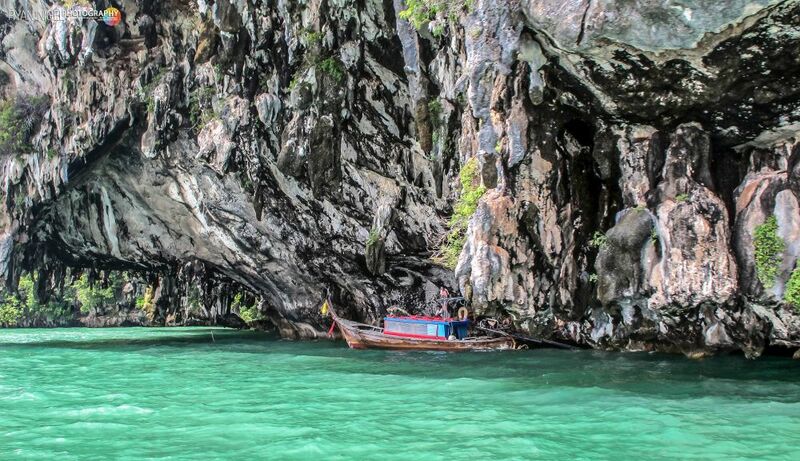 This is an island and it shows you the true fishermens’ life of Phang Nga Bay. There is a hard contrast with Koh Panyi, the floating village in Phang Nga bay with all its retaurants, shops, etc. This is really a tourist place, or an original place turned tourist. Koh Mai Pai is more the opposite. It’s where the boatboys, the canoe people, the longtail boat drivers, etc lives. You can see the hard contrast between a normal village and a tourist place. Worth a visit. 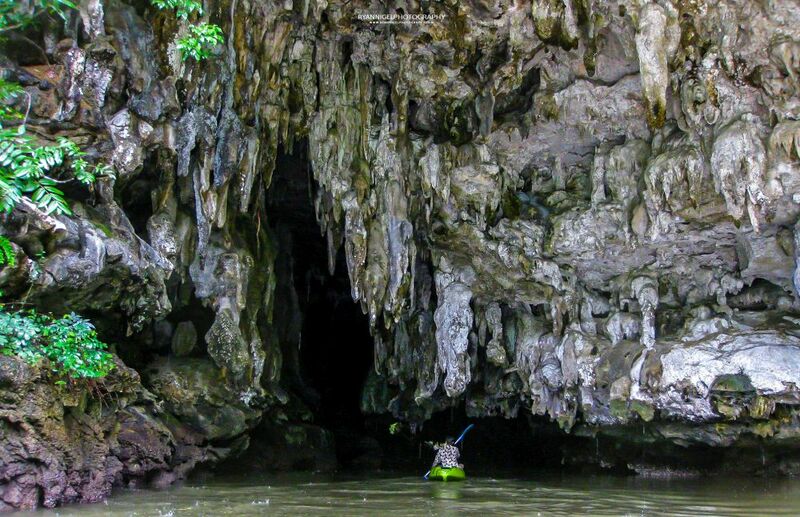 After a couple of years at Phang Nga Bay i started to get curious about the sea canoeing and the caves in Krabi/Ao Luk. I heard about it, but never went there myself. After some research i found some really wicked places. 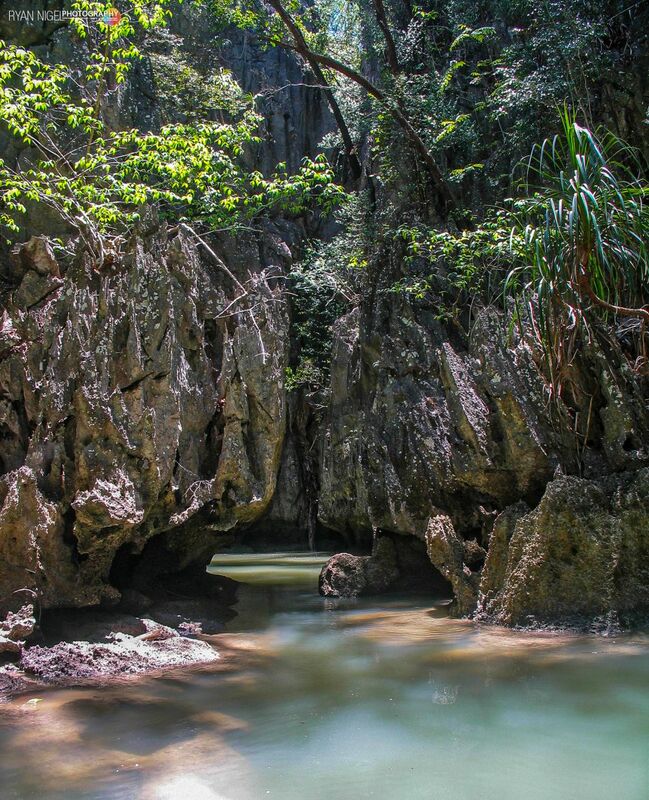 Bor Thor, an area within the Thambok Kornanee National Park is an excellent place to do some very nice sea canoeing and cave exploring. Also here, tight and good planning is very important. After you are done with the canoeing and caving and you are getting hungry, you have a wide choice of restaurants in the area. After lunch, you can visit the fresh water streams in Koranee Forest Park and swim/relax there. Compared with Phang Nga Bay it is still quiet here. You also have peaks that at some places it can be crowdy, but by numbers of tourists it is much more quiet than Phang Nga Bay. The area is very very nice. Some parts are nicer than Phang Nga Bay. 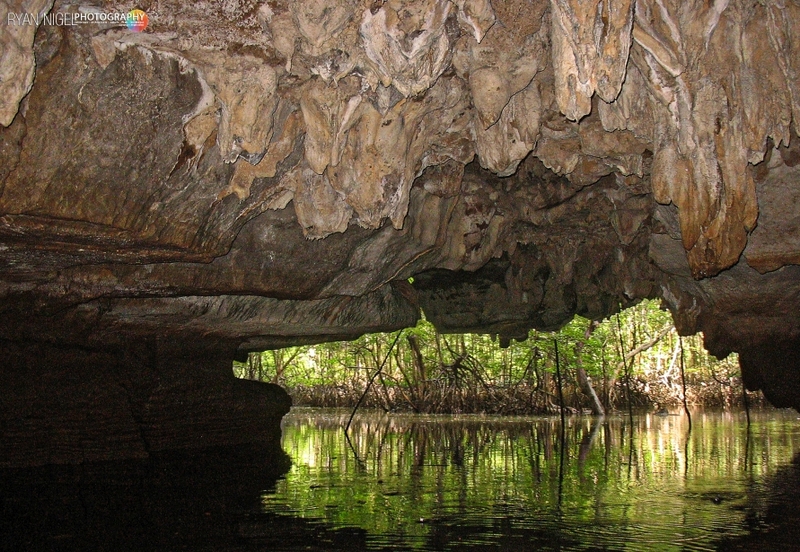 The mangrove forest is huge and thick and you have a few hidden lagoons which are accessable by tunnels and caves. 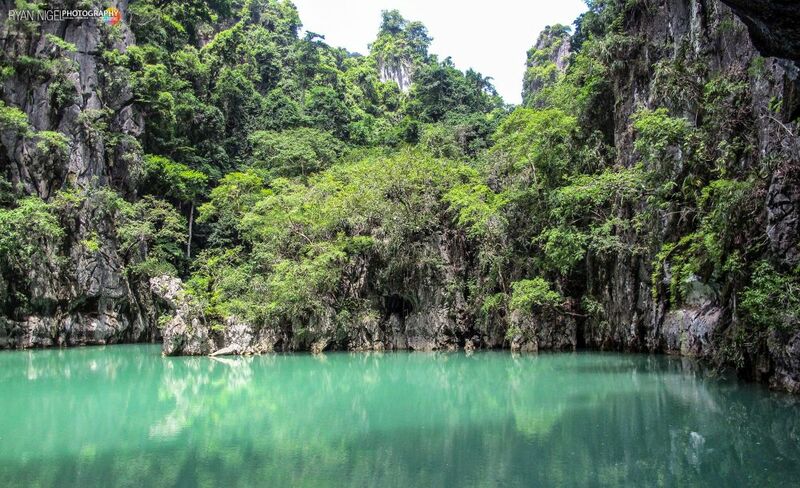 The scenery in the lagoons is more nice than in Phang Nga Bay as there are more different sort of plants. You really get that ‘lost in time’ feeling. Inside the small lagoon, next: the big one. There is only one place to start the tour and that is at the pier. From there, depending on the tide, you can go left or right. 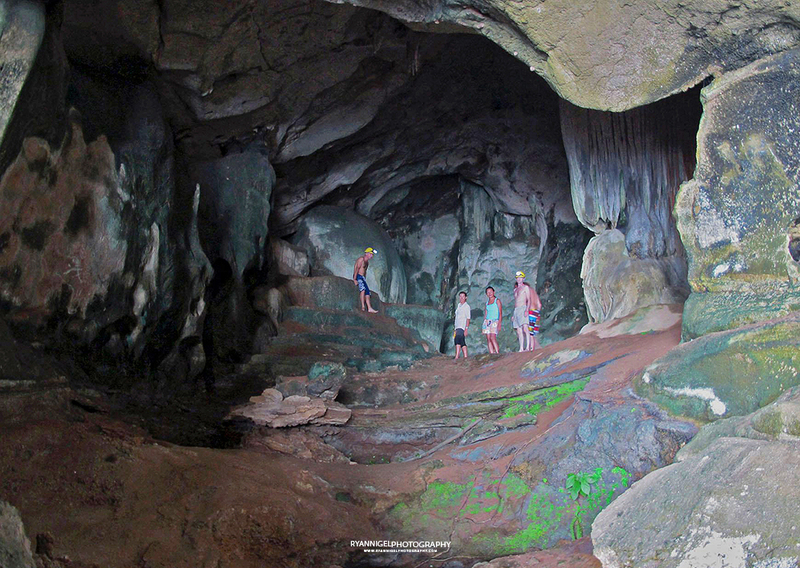 When you go right you go to the large sea cave, Tham Lod Nua (very nice and scenic) and to the Tham Pee Hua Cave. 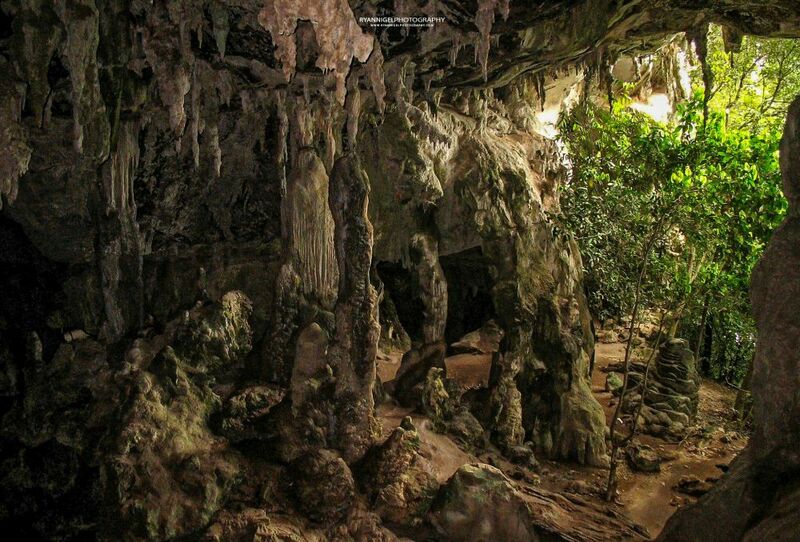 This cave is really nice full with limestone stalagtites and stalagmites and ancient wall paintings. 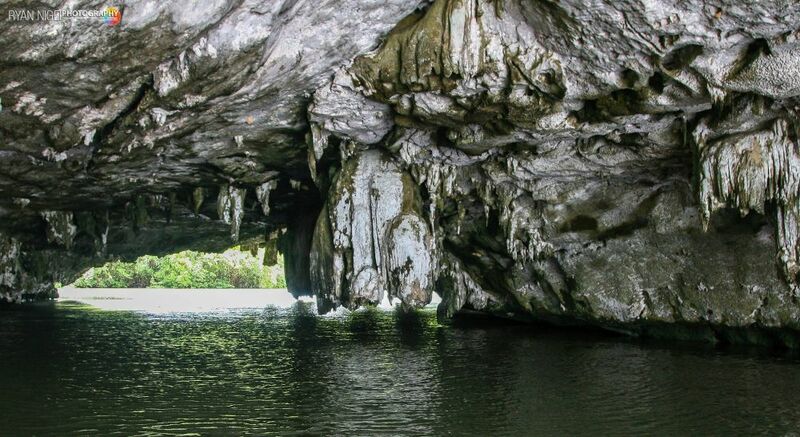 You can park your canoe at the cave and start walking around. When turning left from the pier, you go into the mangrove forest. On the side of the main river you have several small rivers which lead to the entrance of some very nice hidden lagoons. It is also easy to get lost in the complex mangrove rivers so make sure you know where you are. 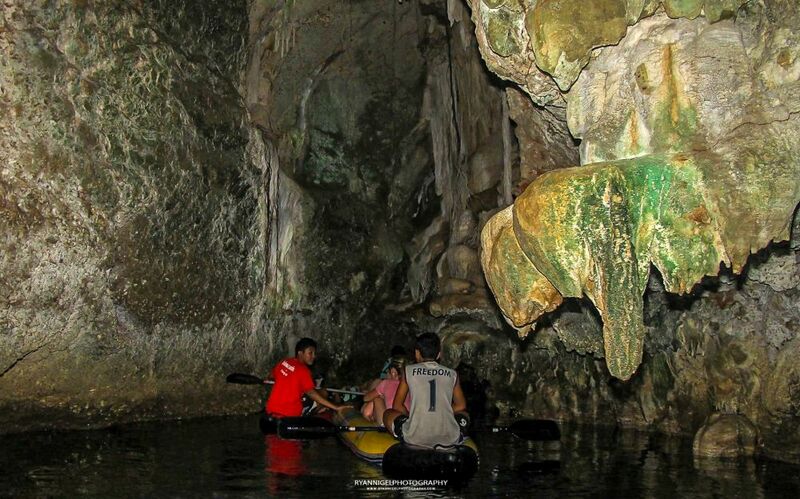 When you paddle further you come to the Anaconda Cave and Lagoon. This is a really nice place. Not many people come here because it is too far paddling. 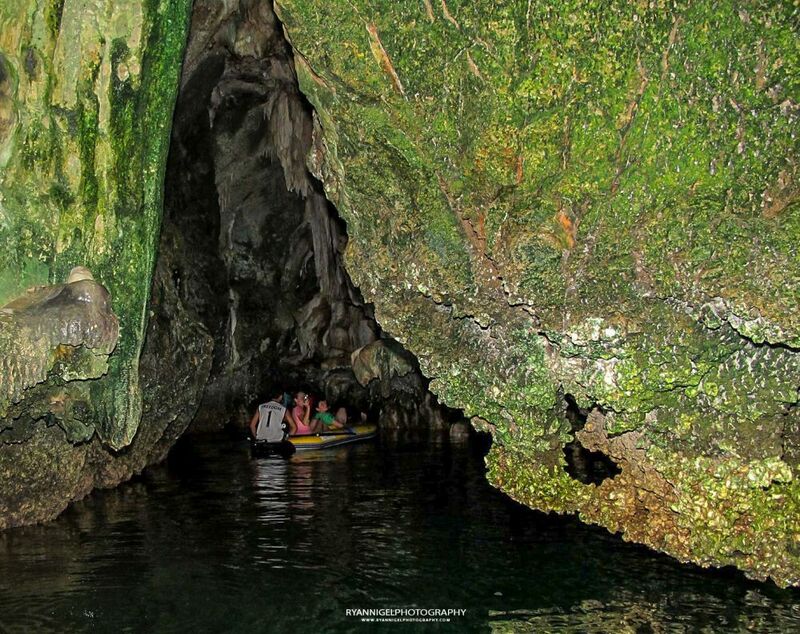 The cave is a couple of hunderd meters long and zigzag until you come to the lagoon. Hence the name Anaconda. 🙂 ALso with this cave you have to take notice of the tides. When full high tide you cannot enter the cave. The lagoon is olso nice. 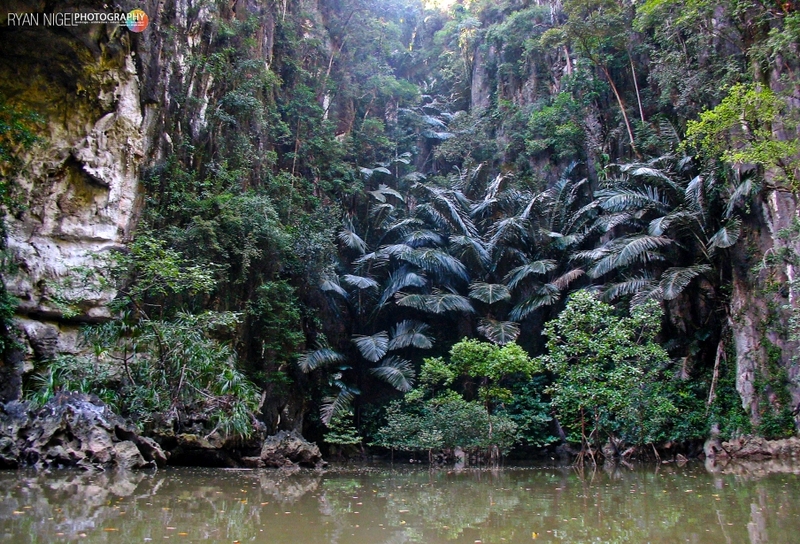 A large mangrove forest and some smaller caves fill the area. 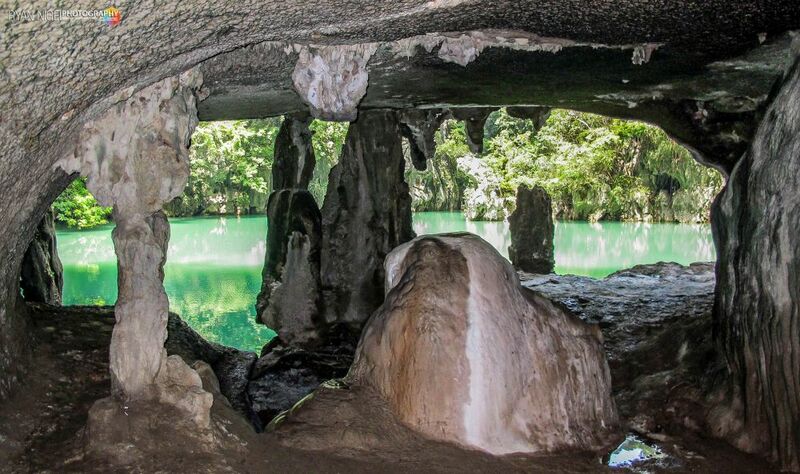 There is a large cave inside the lagoon but i never had the chance to go inside. Maybe later ! Anyway the opening window here is quite ok. You got about 1,5 hours in and out. Coming out of the Anaconda cave and into the hidden lagoon. More caves and pass throughs.